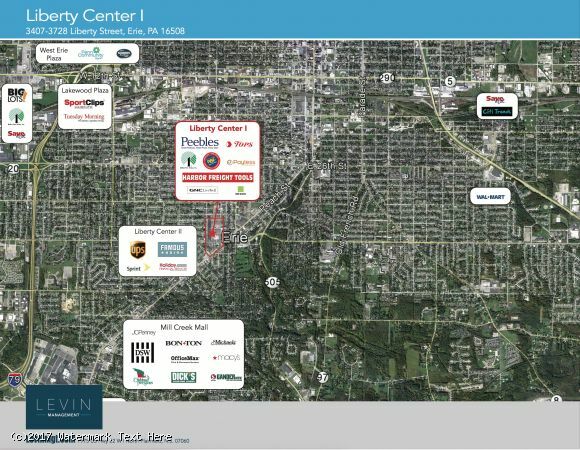 Liberty Center is located at the intersection of West 38th and Liberty Streets, just off of Peach Street, in the residential and retail heart of the city. 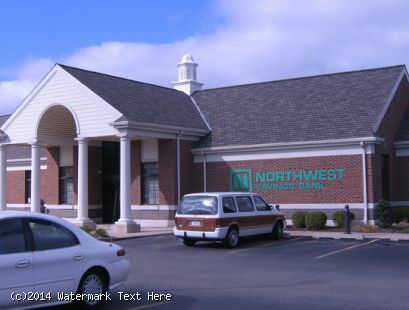 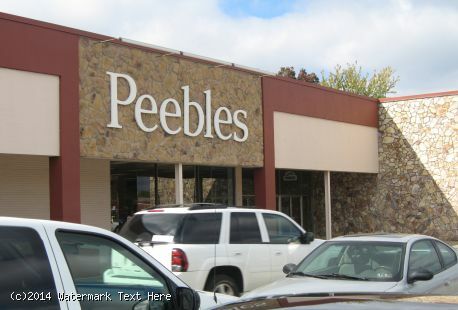 The 229,805 square-foot center is anchored by Peebles and Top’s Markets. 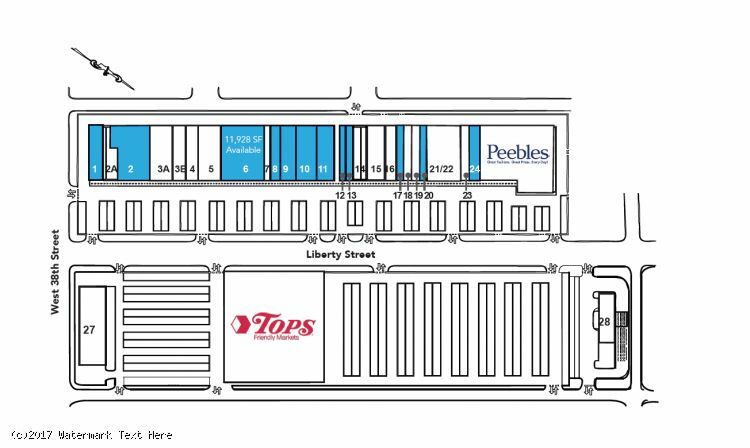 Other key tenants include: Dollar Tree, Harbor Freight, Rent-A-Center, Payless ShoeSource, Radio Shack, GNC, Fred's Furniture and PNC Bank. The center is located near Millcreek Mall and I-90.